Join us as we discuss The Nightingale by Kristin Hannah. Meetings are led by librarians from the main branch of the Kanawha County Public Library (KCPL) and held in the VIP/Community Room, Panera Bread in the Charleston Town Center Mall from 11:30 AM - 12:30 PM. From the #1 New York Times best selling author Kristin Hannah comes The Nightingale, an epic love story and family drama that centers on two sisters. Older sister Vianne Mauriac see her husband go off to the Front, never really believing that the Nazis will invade France until they do, leaving Vianne to do all she can to keep her and her daughter alive and well. At the same time Vianne's passionate younger sister Isabelle is on the search for her purpose, briefly finding it when she falls completely in love with and joins Gäetan, a partisan who believes the French can fight the Nazis from within France. But when Gäetan betrays her, Isabelle joins the Resistance and never looks back, risking her life time and again to save others. With courage, grace and powerful insight, bestselling author Kristin Hannah captures the epic panorama of WWII and illuminates an intimate part of history seldom seen: the women's war. Those wishing to get books signed will be asked to purchase at least one copy of the author's most recent title from Vroman's. For each purchased copy of the newest title, customers may bring up to three copies from home to be signed. This policy applies to all Vroman's Bookstore events unless otherwise noted. Save your Vroman's receipt; it will be checked when you enter the signing line. Kristin Hannah - "The Nightingale"
Warwick's is hosting New York Times bestselling author Kristin Hannah on Wednesday, February 11th at 7:30pm to present her epic love story and family drama set at the dawn of World War II, The Nightingale. 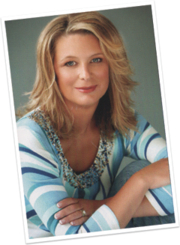 Kristin Hannah is the bestselling author of many acclaimed novels, including On Mystic Lake, Between Sisters, The Things We Do for Love, Comfort & Joy, and Magic Hour. This event is free and open to the public. Reserved Seating is available. Only books purchased from Warwick's will be signed. Please call the Warwick's Book Department at 858-454-0347 for more information. In love we find out who we want to be. In war we find out who we are. In the quiet village of Carriveau, Vianne Mauriac says goodbye to her husband, Antoine, as he heads for the Front. She doesn’t believe that the Nazis will invade France...but invade they do, in droves of marching soldiers, in caravans of trucks and tanks, in planes that fill the skies and drop bombs upon the innocent. When a German captain requisitions Vianne’s home, she and her daughter must live with the enemy or lose everything. Without food or money or hope, as danger escalates all around them, she is forced to make one impossible choice after another to keep her family alive. Vianne’s sister, Isabelle, is a rebellious eighteen-year-old girl, searching for purpose with all the reckless passion of youth. While thousands of Parisians march into the unknown terrors of war, she meets Gäetan, a partisan who believes the French can fight the Nazis from within France, and she falls in love as only the young can...completely. But when he betrays her, Isabelle joins the Resistance and never looks back, risking her life time and again to save others. With courage, grace and powerful insight, bestselling author Kristin Hannah captures the epic panorama of WWII and illuminates an intimate part of history seldom seen: the women’s war. The Nightingale tells the stories of two sisters, separated by years and experience, by ideals, passion and circumstance, each embarking on her own dangerous path toward survival, love, and freedom in German-occupied, war-torn France--a heartbreakingly beautiful novel that celebrates the resilience of the human spirit and the durability of women. It is a novel for everyone, a novel for a lifetime. A single, tragic choice and a middle-of-the-night phone call will bring three women together and set them on a poignant, powerful journey of redemption. Each has lost her way, and they will need each one another---and maybe a miracle---to transform their lives. An emotionally complex, heart-wrenching novel about love, motherhood, loss, and new beginnings, Fly Away (St. Martin’s, $27.99) reminds us that where there is life, there is hope, and where there is love, there is forgiveness. Told with her trademark powerful storytelling and illuminating prose, Kristin Hannah reveals why she is one of the most beloved writers of our day. From a distance, Michael and Joleen Zarkades seem to have it all: a solid marriage, two exciting careers, and children they adore. But after twelve years together, the couple has lost their way; they are unhappy and edging toward divorce. Then the Iraq war starts. An unexpected deployment will tear their already fragile family apart, sending one of them deep into harm’s way and leaving the other at home, waiting for news. When the worst happens, each must face their darkest fear and fight for the future of their family. An intimate look at the inner landscape of a disintegrating marriage and a dramatic exploration of the price of war on a single American family, Kristin Hannah's Home Front (MacMillan, $27.99) is a provocative and timely portrait of hope, honor, loss, forgiveness, and the elusive nature of love. Kristin Hannah's book Night Road was available from LibraryThing Early Reviewers. Kristin Hannah's book Winter Garden was available from LibraryThing Early Reviewers. Kristin Hannah's book Firefly Lane was available from LibraryThing Early Reviewers. Kristin Hannah is currently considered a "single author." If one or more works are by a distinct, homonymous authors, go ahead and split the author. Kristin Hannah is composed of 5 names. You can examine and separate out names.